As you’ve likely already figured out, the case interview is a very unusual creature. Though the process was created as a means of testing your on-the-job potential as a consultant, they’re more like the microwave version of a crock pot recipe. On the job, you may have 3 months to sink your teeth into the gory details of a project, with full research capabilities and the freedom to take a comprehensive look at every area that warrants attention. Interestingly, however, we were trained at MBB that doing a project for more time gets you NOWHERE. High impact in a short time is the name of the game. Besides, McKinsey doesn’t make more if you work 60 hours a week – they get paid a flat rate per project, not by the hour. In the consulting case interview, your time is even more precious: you have only 4 minutes to develop and present a plan (2 to structure your case and 2 to present). It’s critical that you start writing right away – and how will you know where to start if you wander aimlessly in brainstorming land for even 1 second of your precious time? The frameworks help you quickly identify hot topics that will assist you in solving a case – real or in an interview – in an extremely short – and efficient – amount of time. Before we dive into case frameworks, it’s important to say now that we will be going into some depth about this subject, but by no means doing it complete justice. Never fear – there are lots of ways you can take your learning to the next level. At the end of the article, we’ll include some suggestions on places you can look for more details. After years of doing what we do (trainings/guest lectures/creating materials on case interviews), we noticed a distinct lack of practical tools designed to help people understand how consultants approach business. In many of the interview prep sessions we provide, we’ll cover a topic and our client will ask us where they can get more information on the matter. Until now, we had nowhere to point them. If you have done some research into frameworks, you’ll already know a little bit about some of the different approaches out there. The frameworks you may have seen tend to be more academic in nature, such as 3CP or Porter’s Five Forces. Though they’re very comprehensive frameworks, they’re also very academic. They may well be very useful when you’re at the beginning of a 3- month long project, but in the heat of your interview you’ll most likely leave yourself high and dry if you attempt to apply them to the case set before you. In this and the next two articles, we will be giving you an overview of the four frameworks we use both for interviews and on-the-job at MC – covering what they are and how you can get to know them well enough to use them. In the subsequent articles in the series, we’ll take time to explore each one in more detail. For each framework, we will give you knowledge of the underlying business concepts, the questions they are supposed to address, how to identify when to use them in a case, how to best deliver them and how to apply them creatively. If you’ve heard about different frameworks from different places, why should you care about these? Remember, these are not comprehensive tools. If you understand how to properly use the concepts in these cases, you will be able to solve any case that is put in front of you. Don’t expect to be given a question that only draws from one of the frameworks. It may well be that you have to borrow from all 4 to break the case down effectively. Listen to the question carefully so you can know which framework(s) to use. If you don’t know for sure, pick one (profitability is a classic go-to) and just get started. Be ready for a change of direction! 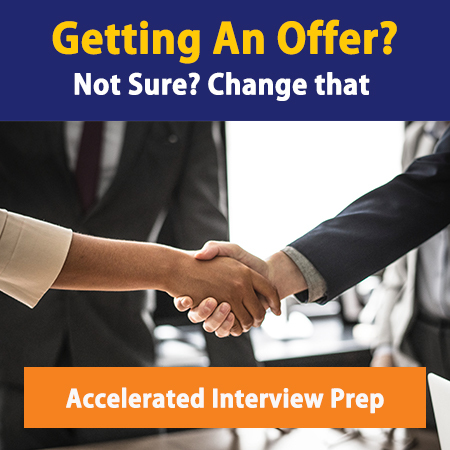 You may be using one framework after the opening, only to have the interviewer ask you a question part way through that allows you to change to another one. Do not use the word “framework” in your interview. The moment you use that word, you’re telling the interviewer that you’re going to fit the case into a previously memorized set of rules. Strict rigidity is not your friend. Frameworks are only a starting point. These frameworks are really good at helping you come to grips with the concepts being presented. Once you understand what is being asked, adjust them to the case at hand. After spending all this time setting it up, it’s time to introduce you to the 4 key frameworks you need to know. In this article, we will give you a brief introduction to each one, before going into more detail in our later articles. These types of questions are pretty straightforward. The interviewer wants you to assess the existing market of a product in units or sales. This is the most important framework to know, because they are often used to open cases up. On top of this, profitability cases are the most common overall. Our market study is a practical version of the standard 3CP structure. When you are faced with a market study case, you should be aware of the fact that profitability will probably show up somewhere in your deliberations. Stay tuned for our upcoming articles on the subject matter. If you would like some extra information in the mean time, you can schedule some one on one interview prep time, where we can discuss this topic at greater length and address any specific questions you may have. On our 8 hour Bootcamp, we may spend between 2-2.5 hours alone on this topic, covering it very extensively. We also cover it in detail in our book, The Consulting Interview Bible.